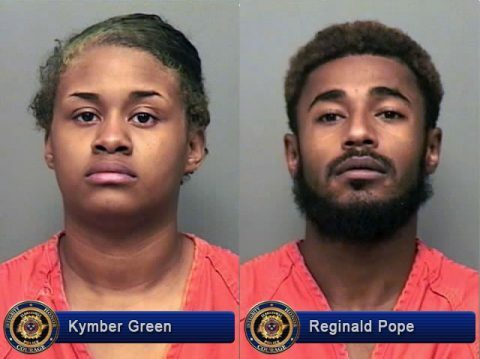 Clarksville, TN – Clarksville Police investigation into the death of Julie Rosario has led to the arrest of 23-year-old Kymber Green and 27-year-old Reginald Pope. Ms. Green and Mr. Pope were arrested in Portland, TN with the assistance of the Portland Police Department. Ms. Green and Mr. Pope have been charged with Criminal Homicide and are currently being held in the Montgomery County Jail without bail. Clarksville, TN – On May 26th around 3:00am, a motorcyclist was found barely breathing in the middle of Autumnwood Boulevard after a motorcycle crash. He later died from his injuries. Clarksville Police released the victims name today. The man’s name is Franklin Evan Wadsworth, age 30, of Clarksville, TN. Clarksville, TN – Clarksville Police are trying to determine the cause of a motorcycle crash after a 30 year old man was found barely breathing by a passerby, laying in the middle of the roadway, in the 1700 Block of Autumnwood Boulevard, around 3:00am, May 26th, 2012.